[S182] Social Security Death Index (on-line), Ancestry.com, SSDI, Ancestry.com, SSAN 422-07-5956. [S807] Find A Grave, online http://www.findagrave.com, Find A Grave, database and images (https://www.findagrave.com : accessed 28 August 2018), memorial page for Dr Theodore Jackson “Jack” Bender, Jr (4 Mar 1917–9 May 2007), Find A Grave Memorial no. 111587978, citing Magnolia Cemetery, Mobile, Mobile County, Alabama, USA ; Maintained by Tim Childree (contributor 47125268) . [S182] Social Security Death Index (on-line), Ancestry.com, SSDI, Ancestry.com, SSAN 423=05-2645. [S807] Find A Grave, online http://www.findagrave.com, Find A Grave, database and images (https://www.findagrave.com : accessed 28 August 2018), memorial page for Thomas Benton Bender (10 Feb 1919–12 Aug 1979), Find A Grave Memorial no. 37974784, citing Pine Crest Cemetery, Mobile, Mobile County, Alabama, USA ; Maintained by Lisa Renee (contributor 47052228) . John Douglas Henderson was the son of Frank S. Henderson and Pearl Griffin Bender. William Henderson was the son of Frank S. Henderson and Pearl Griffin Bender. Ruth Henderson was the daughter of Frank S. Henderson and Pearl Griffin Bender. 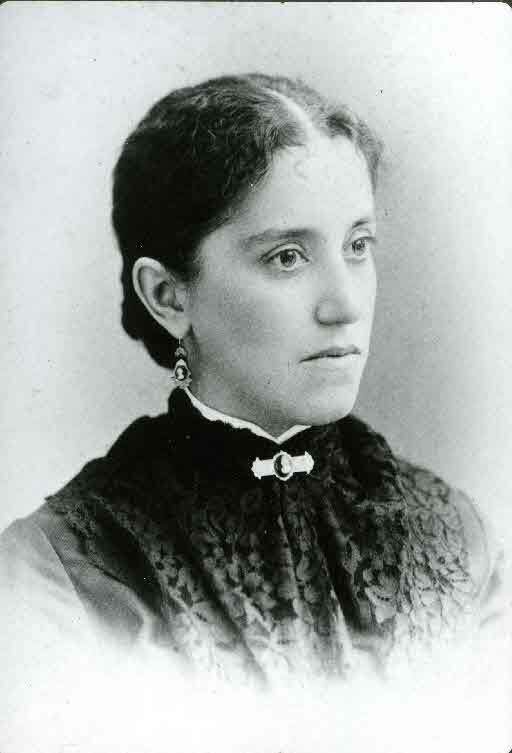 Marie Henderson was the daughter of Frank S. Henderson and Pearl Griffin Bender. Frank S. Henderson Junior was born circa 1905 at AL.1 He was the son of Frank S. Henderson and Pearl Griffin Bender. Elizabeth Budd Henderson was born circa 1908 at AL.1 She was the daughter of Frank S. Henderson and Pearl Griffin Bender. Samuel Bennett Slade Hooks was born on 19 February 1907 at Washington Co., AL.2 He was the son of Robert David Hooks Sr. and Isabelle Cecile Slade. Samuel Bennett Slade Hooks was also known as Slade Hooks. He married Aurelia Bender, daughter of Theodore Jackson Bender and Mary Frances McCafferty. Samuel Bennett Slade Hooks died on 15 December 1995 at Mobile, Mobile Co., AL, at age 88.2 He was buried on 18 December 1995 at Mobile, Mobile Co., AL. from the Mobile Register, Sunday December 17, 1995 Mr. Samuel S. Hooks, Sr. -- A native of Washington County and resident of Mobile, died Friday, December 15, 1995 in a local hospital. He was a retired Vice President of American National Bank, a member of St. Dominic's Catholic Church, mystic societies, skyline Country Club, Athelson Club and treasurer of Mobile Track and Field Association. Survivors include his wife, Wilhelmina Hart Hooks; a son, Mr. Slade Hooks, Jr; a daughter Aurelia Hooks Benton; a stepson, Henry A. Schwarz, III; six grandchildren, Bennett Slade Hooks, III, Charles David Hooks, Patricia Ann Hooks, Roy H. Benton, IV, Thomas F. Benton and Aurelia B. Benton all of Mobile and other relatives. Visitation will be at the funeral home on Sunday evening from 6-8PM. A rosary service will be held at 7pm. Mass of Christian Burial will be celebrated from St. Dominic's Catholic Church, Monday, December 18, 1995 at 9:30am. Interment will be in Belle C. Hooks Cemetery. Donations may be made to: St. Dominic's Catholic Church or the Salvation Army. Arrangements by Radney Funeral Home, Dauphin St., Ext., Mobile, AL. [S21] Mobile Register, Dec 17, 1995, Page 6-B, Column 2. [S182] Social Security Death Index (on-line), Ancestry.com, SSDI, Ancestry.com, SSAN 420-12-4891. Agnes Gavin was born on 4 February 1922 at Jackson, Tennessee. She was the daughter of James Phillip Gavin and Lucille Pigott. Agnes Gavin married Dr. Theodore Jackson Bender Junior, son of Theodore Jackson Bender and Mary Frances McCafferty. Agnes Gavin died on 30 January 2008 at Mobile, Mobile Co., AL, at age 85. She was buried on 1 February 2008 at Magnolia Cemetery, Mobile, Mobile Co., AL. A native of Memphis, and a long time resident of Mobile, died Wednesday, January 30, 2008 at her home at the age of 85. She was preceded in death by her husband of 67 years, Dr. Theodore Jackson Bender, Jr. Survivors include her daughter, Virginia Lee Bender of San Francisco, 5 sons, Theodore Jackson Bender, III (Becky) of Atlanta, Georgia, James Gavin Bender (Margaret), Robert Hardy Bender (Mary), William Griffen Bender (Linda), John Thomas Bender (Andie), all of Mobile; two sisters, Mary Lucille Sweeney of Chicago, Illinois, Nancy Gavin Warren of Memphis, Tennessee, and a brother, James Gavin, also of Memphis; thirteen grandchildren; one great-grand child, and many nieces and nephews. Visitation will be Friday, February 1, 2008 at 10:30 a.m. with Mass following at 11:00 at St. Dominic Catholic Church. Burial will follow in Magnolia Cemetery. In lieu of flowers, memorials may be made to Catholic Social Services, 400 Government Street, Mobile, Alabama. Arrangements by RADNEY FUNERAL HOME, 3155 Dauphin St. Ext., Mobile, AL. Rosemary McPhillips was born on 14 September 1920.1 She was the daughter of Manning McPhillips and Hilda Druhan. Rosemary McPhillips married Thomas Benton Bender, son of Theodore Jackson Bender and Mary Frances McCafferty. Rosemary McPhillips died on 10 July 2005 at Mobile, Mobile Co., AL, at age 84.1 She was buried on 13 July 2005 at Pinecrest Cemetery, Mobile, Mobile Co., AL. Rosemary McPhillips Bender Hixon -- a native and lifelong resident of Mobile, AL died Sunday, July 10, 2005 in a local hospital at the age of 84. Mrs. Hixon was preceded in death by her first husband, Thomas Benton Bender, Sr. She is survived by her husband, Carl Hixon, Jr. of Spanish Fort, AL; her children, Thomas Benton (Dina) Bender, Jr., Barbara (Michael) Knight, Frances (Joe) Tonsmeire, David (Deborah) Bender, Rosemary (Frank) Terrell, Lucia (Sam) Hicks, Margaret Dixon, Carl Hixon, III, Celia (Michael) Delaney; one sister, Nell McP. Lott; two brothers, H. Manning McPhillips, Jr., and James D. McPhillips; twenty two grandchildren and fifteen great grandchildren. Mass of Christian Burial will be Wednesday, July 13, 2005 at 1:15 PM at St. Ignatius Catholic Church. Visitation will be from 11:00 AM until 1:00 PM at the Marian Center. Interment will be in Pine Crest Cemetery. The family has requested that memorials be made to Catholic Charities, St. Ignatius Catholic Church or Little Sisters of the Poor. Arrangements by RADNEY FUNERAL HOME, 3155 Dauphin St., Mobile, AL. [S182] Social Security Death Index (on-line), Ancestry.com, SSDI, Ancestry.com, SSAN 416-26-3222. Jon Foster Steele was born on 3 February 1972 at Mobile, Mobile Co., AL. He was the son of Jon Steele and Margaret Rose Ingate. Jon Foster Steele died on 6 June 2010 at New Brunswick, Middlesex Co., NJ, at age 38. He was buried on 7 June 2010 at Beth Abraham Cemetery, East Brunswick, NJ. Jon Steele, beloved son, brother and friend, passed away on June 6, after struggling with severe illness for many years. Jon was born in Mobile, Ala. on Feb. 2, 1972. In 1990, he graduated from Highland Park High School, where he discovered his lifelong passions for literature, art and music. Jon attended Sarah Lawrence College, Middlesex County College, and Mason Gross School of the Arts at Rutgers University. Under the guidance of his teachers, Jon developed his natural talent as a photographer. At Rutgers, he served one year as photography editor of The Targum. Jon lived most of his life in Highland Park, N.J., but also resided in San Francisco, Calif., which he loved for its beauty. Jon loved to travel, and had visited France and Israel, and many places in the U.S. Most recently, Jon traveled to Ireland with his stepfather David, and his brothers, Yosef and Dov. From his childhood on, Jon had a strong concern for social justice and empathy for the suffering of the oppressed and downtrodden, wherever they were. Jon was generous in sharing whatever he had with others. Jon was predeceased by his grandparents, Paul and Vivian "Bibi" Steele of Fort Walton Beach, Fla. and Frederick and Margaret Ingate of Mobile, Ala. Jon is survived by his mother and stepfather, Margaret Ingate and David Simen; his brothers, Yosef and Dov Simen; his father and stepmother, Jon and Vieva Steele; his brother and sister, Matt and Annemarie Steele, and stepsiblings, Robbie and Laurie Olsen. Funeral services were held on June 7. Jon's family is grateful for the kindness extended to Jon during his life and the support given to them as they mourn his loss. The family requests that memorial contributions be made to NARSAD or a charity of your choice. Harrison and Marilla were enumerated in the 1850 Worcester, Worcester Co., MA, federal census. He was an auctioneer, age 38, she was 24. There was only one child in the household, Clara 1. Harrison and Marilla were enumerated in the 1860 Worcester, Worcester Co. MA, federal census. He was a peddler age 45, she was 42. Children in the household were Clara 11, Edwin 9, Frank 7, and Mary 4. Harrison W. and Marilla T. were enumerated in the 1870 Barre, Worcester Co., MA, federal census. He was a farmer age 58, she was 43. Children in the household were Frank A. 16, Mary A. 14, Kate M. 9, Alfred L. 7, and Milton P. 3. Harrison W. and Marilla T. were enumerated in the 1880 Barre, Worcester Co., MA, federal census. He was a farmer age 68, she was 54. Children in the household were Kate 19, Alfred L. 18, and Milton P. 13. [S24] Charles Allen Converse, Some of the Ancestors and Descendants of Samuel Converse, Jr., of Thompson Parish, Kiliingly, Conn., Page 329, Item 198. [S174] William Bradford Browne, The Babbitt Family History: 1643-1900, Page 356/Item 515. [S831] Kate Miriam Johnson, "NSDAR: 198607, Kate Johnson." [S847] Miriam Converse Johnson Burlingame, "NSDAR: 690394, Miriam Johnson Burlingame." [S848] Clara H. Johnson, "NSDAR: 198613, Clara H. Johnson." 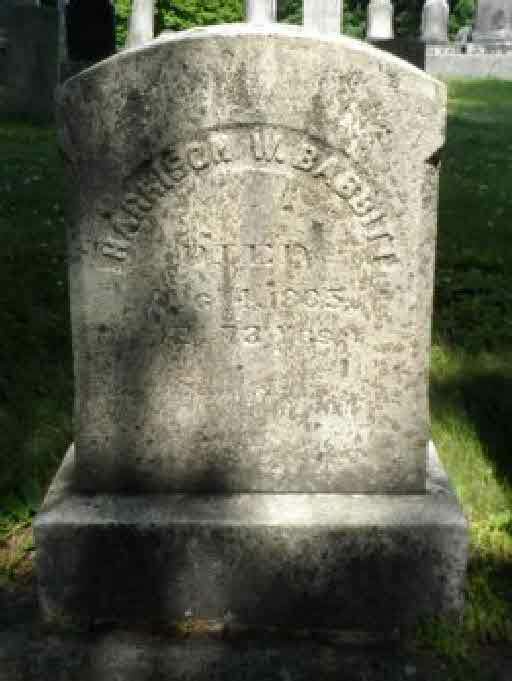 [S807] Find A Grave, online http://www.findagrave.com, Find A Grave, database and images (https://www.findagrave.com : accessed 18 July 2018), memorial page for Harrison W. Babbitt (1812–4 Aug 1885), Find A Grave Memorial no. 132478614, citing Lincoln Cemetery, Barre, Worcester County, Massachusetts, USA ; Maintained by James Bianco (contributor 47745493) . Marilla Theresa Converse was born on 7 September 1826 at Lyme, Grafton Co., NH.2,3,4 She was the daughter of Joel Converse Jr. and Abigail Colt.2,4 Marilla Theresa Converse married Harrison Willard Babbitt, son of Isaac Babbitt and Sarah Phinney, on 18 May 1848 at Auburn, New Hampshire.2,3 Marilla Theresa Converse died on 5 January 1892 at Oakdale, MA, at age 65.2,3 She was buried at Barre, Worcester Co., MA. Harrison and Marilla were enumerated in the 1860 Worcester, Worcester Co., MA, federal census. He was 45, she was 42. Children in the household were Clara 11, Edwin 9, Frank 7, and Mary 4. "The announcement of the death of Mrs. Wyman, formerly Mrs. Harrison Babbitt, was a surprise to her many friends in this town, where she had been visiting only a short time before her death. It seems that she was taken with the illness that proved fatal shortly after leaving here, and while visiting at her daughter's (Mrs. Bradley) at Oakdale. The funeral services were held in the Congregational Chapel, in this place, on Thursday of last week, with the attendance of a considerable number of her friends and former neighbors. Rev. William. A. Converse, a brother of the deceased, of Piermont, N.H., was present at the services, with his wife. He, with a sister, who was not able to attend, are now the only surviving members of a family of twelve. Mrs. Wyman was a woman greatly devoted to her children, and her life illustrated the home virtues. She was a person of much thought, an could express herself readily, both in conversation and with her pen. Not a few of her poems have been published." Christian Observer: "Marilla Theresa Converse, widely known as a contributor to our columns, over the initials of "M.T.B.," and wife of the late Harrison W. Babbitt of Bare, Mass., died, Jan. 5th at the home of her daughter, Mrs. Mary A. Bradley, in Oakdale, Mass. "She was born in Lyme, N.H., Sept 7th, 1826, and in her childhood became a Christian, and learned to love the Christian Observer, published by cousins in a far away State, for which she frequently contributed both prose and poetry in later years. "Abby M. Converse (C.M.A. ), her eldest sister, wrote for the Observer many years ago. After her death, through a remarkable experience, the sister's mantle fell upon Marilla, and she immediately began writing. "She was married to Harrison W. Babitt. May 18th, 1848, and for nearly forty years led a most devoted home life at Worcester and Barre, Mass. "Into that home were born four sons and three daughters. In early manhood one son was called from the family circle. The other children survive her. With all the home devotion she still found time to lay a sympathizing hand on the brow of the sick, to close sightless eyes, to pray with and comfort bereaved ones, and labor earnestly for church, charitable and missionary work. "Mr. Babbitt died, August 4th, 1885, at Barre. Two years later she was married to Dea. Harrison Wyman of Hubbardston, Mass., in whose home she sincerely devoted her life till his death August 30th 1891. "The poem, "Waiting," which we print on the first page this week, was found in her writing desk after her death. It was among the last, if not the latest, of her poems." Edwin Converse Babbitt was born on 26 November 1850 at Worcester, Worcester Co., MA. He was the son of Harrison Willard Babbitt and Marilla Theresa Converse. Frank Allen Babbitt was born on 15 July 1853 at Worcester, Worcester Co., MA. He was the son of Harrison Willard Babbitt and Marilla Theresa Converse. Frank Allen Babbitt died on 25 August 1870 at Barre, Worcester Co., MA, at age 17. Mary Alice Babbitt was born on 19 November 1855 at Worcester, Worcester Co., MA. She was the daughter of Harrison Willard Babbitt and Marilla Theresa Converse. [S807] Find A Grave, online http://www.findagrave.com, Find A Grave, database and images (https://www.findagrave.com : accessed 24 March 2018), memorial page for Kate Maria Babbitt Cudworth (7 Oct 1860–15 Feb 1945), Find A Grave Memorial no. 103459442, citing Sagamore Cemetery, Bourne, Barnstable County, Massachusetts, USA ; Maintained by Caryn (contributor 47509429) .